St. Joseph Montessori School is a Catholic Montessori community committed to a learning environment that respects the uniqueness of each child in reaching his/her full potential. St. Joseph Montessori School’s strategic plan is used to set priorities, focus energy and resources, strengthen operations, ensure that employees and other stakeholders are working toward common goals. Click here to view St. Joseph Montessori School’s 2018-2021 Strategic Plan. We at St. Joseph Montessori School believe that, as a result of the program provided in our school, each child will become a confident, competent person. They will possess self-knowledge, independence, concentration, inner discipline, and a spirit of joy. They will exhibit care and respect for themselves, for others, and for the world around. Each child will exercise initiative and persistence in completing learning tasks, and will exhibit sensitivity, curiosity, creativity, and a spirit of discovery in his or her approach to life and learning. 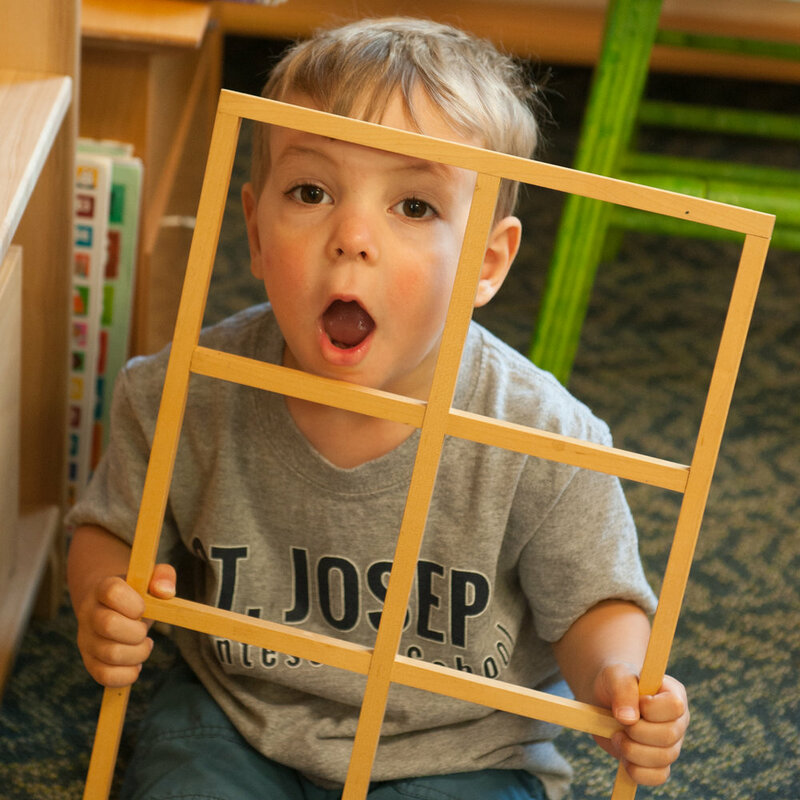 The purpose of St. Joseph Montessori School is, in the words of Dr. Maria Montessori, “to educate the human potential” by means of a scientifically prepared environment that provides a wide variety of equipment and materials; employs a multi-sensory approach to learning; and frees the child to choose activities according to individual interests, abilities, and talents within certain limits. The opportunity to participate in one’s own education provides the child a context for growing academically, socially, and emotionally. At St. Joseph Montessori School, the child’s ability to direct his/her own learning is guided by the Montessori influence of freedom with discipline. Our school exists as an educational alternative that values and is committed to serving a widely diverse population with varying needs and aptitudes. We believe our services must extend beyond the classroom. Educational opportunities provided for families enable parents to reinforce and enrich the child’s learning. Staff members are offered the means and resources for professional growth and are provided an environment that encourages initiative, creativity, and collaborative decision making. Respect, cooperation, and mutual support among students, parents, staff, and community members are critically important to a child’s success in school and must be actively fostered by all participants.